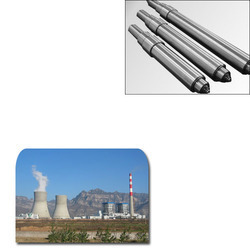 Our range of products include rotor shaft for thermal power station. We have been successful in offering Rotor shaft for Thermal Power Station to our customers. All our products are quality tested are in grievance with the international quality standards. The products are available in various sizes and dimensions. Looking for Rotor shaft for Thermal Power Station ?